Pasadena residents Sainty Wang and Carlos Chavez got a shock when they looked out the patio window – two bear cubs swimming in their water-filled planter! 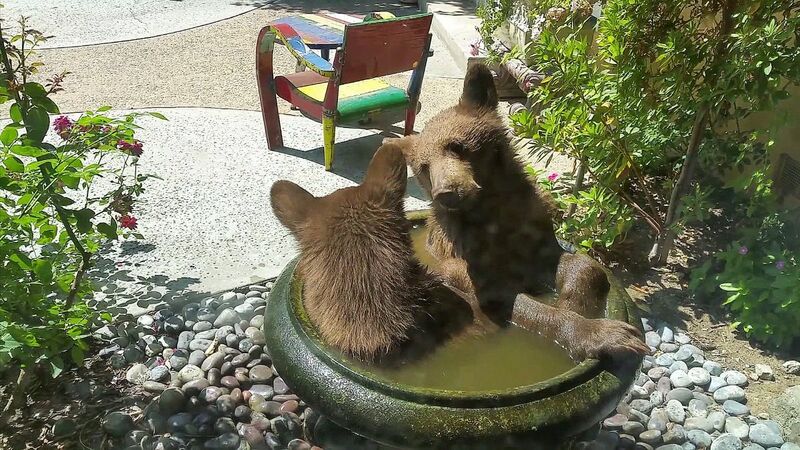 These adorable guys just couldn’t bear the heat anymore and climbed up into a bird bath to take a relaxing soak. The couple spotted the terrible twosome making their way up into their temporary bathtub, where they leaned back and contentedly settled down into the water. Cuddling and snuggling up against one another, the game at hand quickly evolved into some playful and friendly poking and swatting at one another. Even though the two cubs together barely fitted into the small planter, they seemed to regard it as quite the treat, getting them out of the heat and summer sun and cooling them down. While these bears are such adorable visitors that seem quite playful, even these cubs are wild animals, and the filming couple were smart enough to keep their distance, staying behind a sliding glass door. 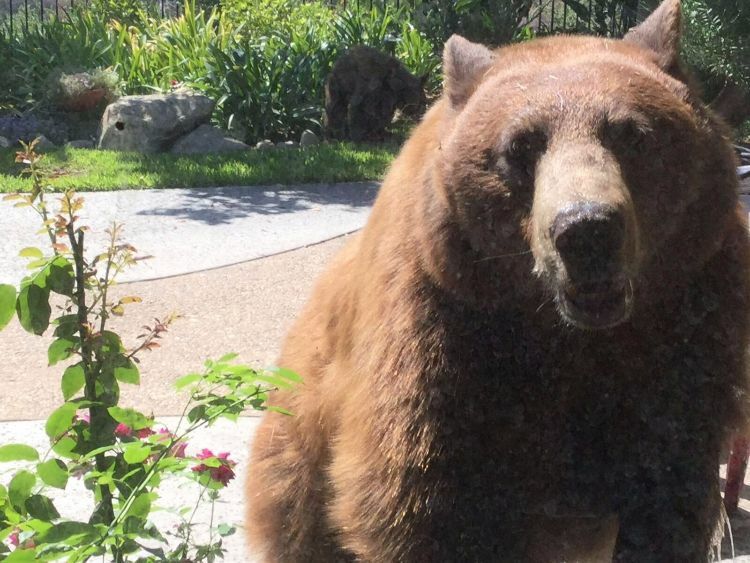 Sure enough, the couple spotted an adult bear keeping its eye on the cubs from the back of the garden, according to KTLA News. After these wee bears were finished in their makeshift outdoor spa, they hopped down from the birdbath and wander out of sight, eager to continue the day’s explorations. Hopefully, they won’t spread the word of the fantastic facilities to other bears, or the homeowner will need to invest in an outdoor pool for all their bear cub friends. Check out the captured video in full below, and SHARE if you like it!